Things have been a little crazy in the Messes household. Between school, Cub Scouts, and sports, we have been pretty busy. I also started writing again (besides on the blog). I'm working on some ideas for kids books. My kids love the ideas so far, so we'll see how it goes! 1. Cut a piece of the clear cellophane to cover the window of the mat. You want it to be a little larger than the window, about 1/4" to 1/2" larger, but not larger than the outside edge of the mat. Tape down. 2. Cut out a piece of contact paper that is about the same size as the cellophane in Step 1. 3. 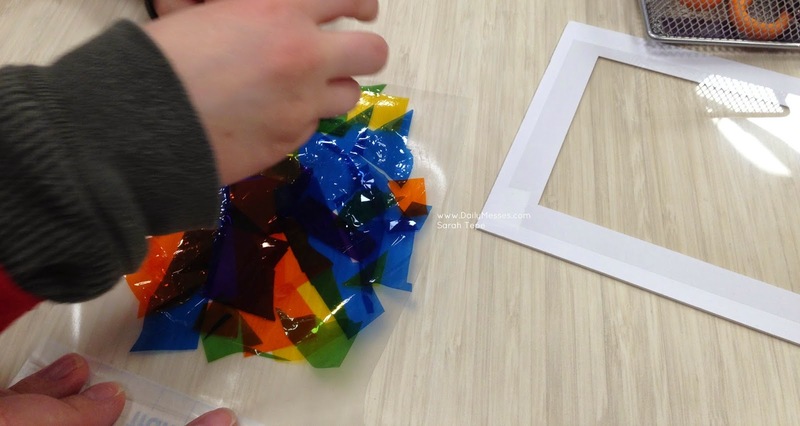 Let the kids cut out pieces and shapes from the colorful cellophane sheets. You want the pieces to be somewhat small so they will fit on the contact paper and can overlap. 4. Peel off the backing of the contact paper and let the kids design their stained glass. 5. Once the design is finished, place the colorful cellophane side down onto the clear cellophane. 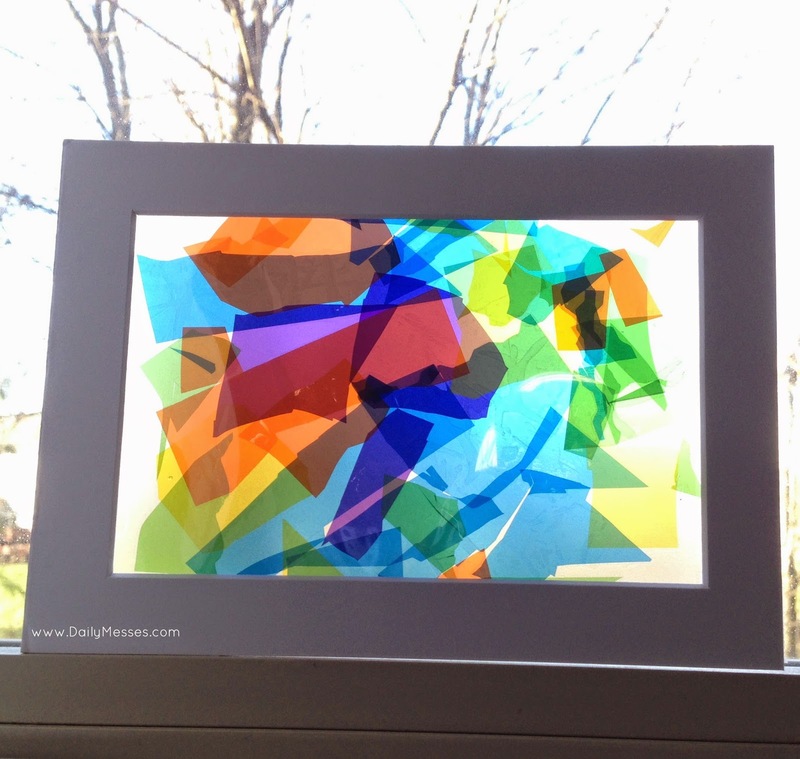 Use any remaining sticky edges of the contact paper to adhere to the frame. Use tape as needed. 5. Place in a window and enjoy!